This historic sundial probably dates from the 1630s. It was placed in its present position in 1893. 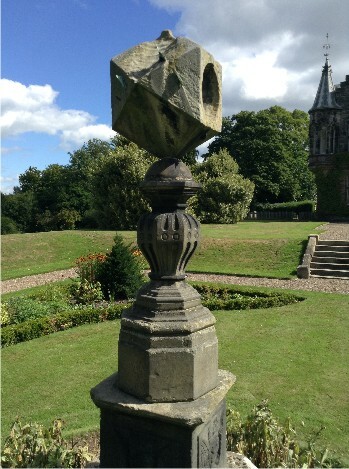 This year’s sundials tour visited parks and gardens in Edinburgh. It is the latest in a series of large and small events to help raise funds for the YACHT project at Greenbank Church, which supports ‘Youth at CHurch Today’. In recent years the tour has been to George Heriot’s School and the National Museum of Scotland (2017), and Lennoxlove near Haddington (2015). 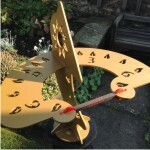 This entry was posted in History, News, Sculpture, Sundial stories, Sundials on August 26, 2018 by Alastair Hunter. 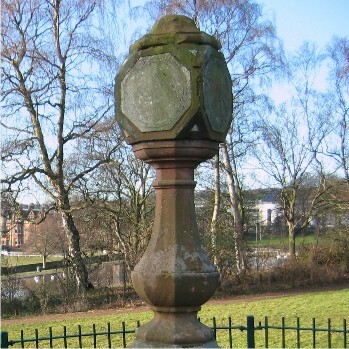 The Inverleith Park sundial originally gifted by Edinburgh firm Kinloch Anderson in 1890 was newly restored by the same company in June 2018. 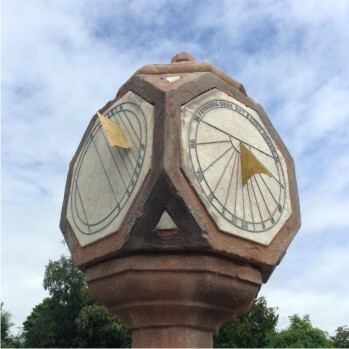 This entry was posted in History, News, Sculpture, Sundial restoration, Sundial stories, Sundials, Time on June 16, 2018 by Alastair Hunter. 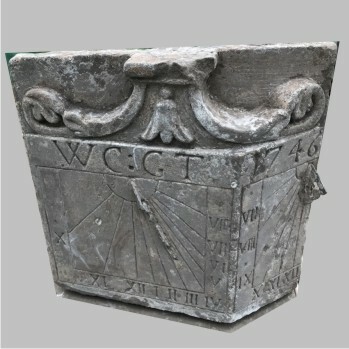 This very interesting sundial stone dates from 1777 and has beautiful carved lettering. 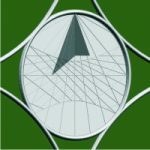 The new gnomon is elevated at the correct angle of 60°, equal to the angle of latitude. It replaces the broken fragment of an earlier gnomon. 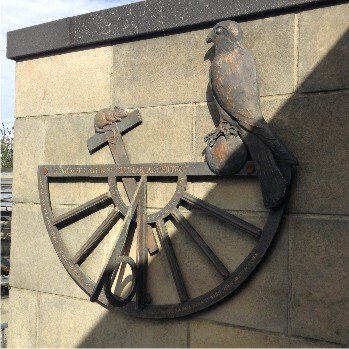 This entry was posted in History, News, Sundial restoration, Sundial stories, Sundials on April 13, 2018 by Alastair Hunter. 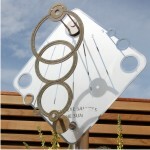 One or two years ago we had a general enquiry about making a sundial with a calendar marked on it. 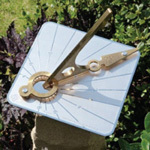 Some sundials are marked with a calendar in a graphical form like an elongated figure-of-eight. This is called the analemma, and it might have been the answer to the enquiry. 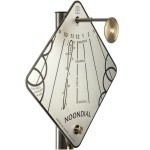 In fact our own Solar Time sundial is a design that displays the analemma. 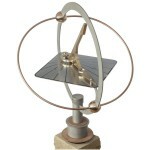 Read the complete story in the attached article, A SUNDIAL COMMISSION WITH A CIRCULAR ENOCH CALENDAR. 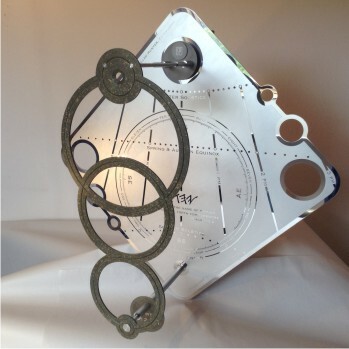 This entry was posted in History, News, Sculpture, Sundials, Time on March 14, 2018 by Alastair Hunter. 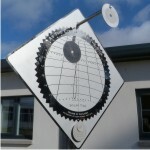 This entry was posted in History, News, Sculpture, Sundial stories, Sundials, Time on November 27, 2017 by Alastair Hunter. 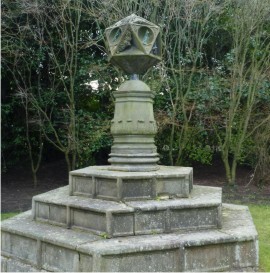 An original stone sundial with two dial faces dated 1746 found on an estate in Fife. 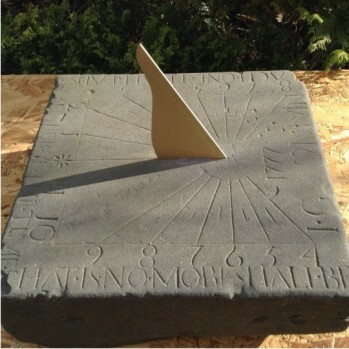 The owner of an old stone sundial on an estate in Fife wanted to know where it belonged. The stone was lying on the ground behind farm buildings and no one could say where it had come from. Was it the correct latitude for the estate, could we study it for them and find out more? 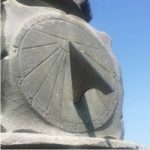 This entry was posted in History, News, Sundial stories, Sundials, Time on August 23, 2017 by Alastair Hunter. 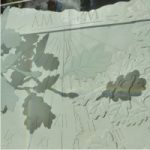 This entry was posted in History, News, Sculpture, Sundials on August 16, 2017 by Alastair Hunter.